Once a prep always a prep. 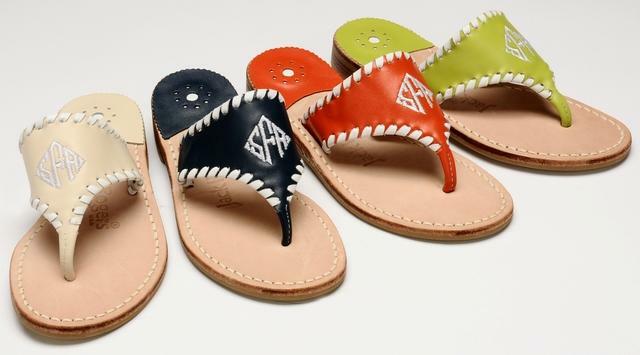 No matter how hard I have tried to shake it, my preppy tendencies start coming back and I want to monogram something or get a pair of Jack Rogers Sandals. I’ve been wearing these sandals since the beginning of time, so imagine my happiness when I discovered a new take on them at Anthropologie. The sandals are jellies, so I can wear my Jack’s to the pool and beach! 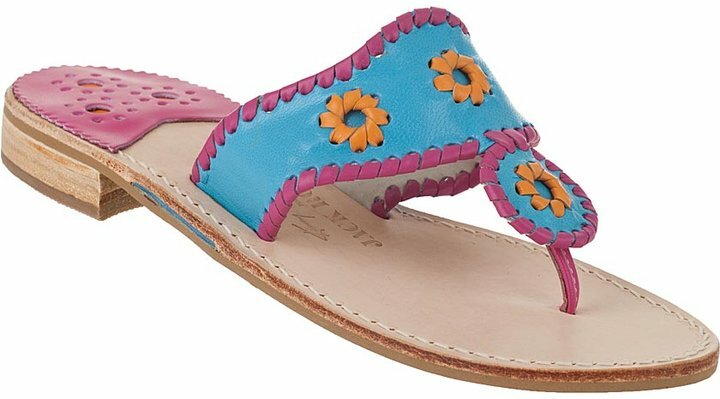 I then hit the Jack Rogers website for a little more shopping and discovered that LA Artist, Kenny Scharf had done a limited edition Navajo style sandal and a tote bag for the brand. The color combinations are amazing and the tote bags are fun too. 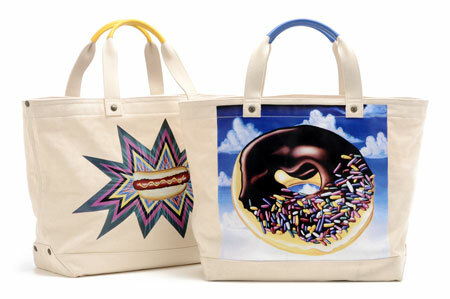 My favorite tote is the one with the doughnut on the front…now that’s the kind of carb I want to indulge in. It won’t make me fat, just fashionable. I love this monogrammed version, especially the orange. The Santa Fe Style is a great alternative to the Navajo. 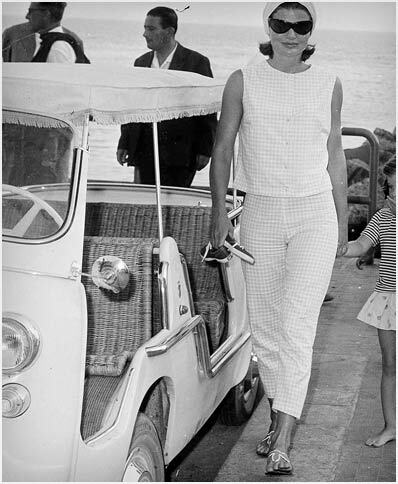 Style icon Jackie O made these sandals a go to staple of the Palm Beach/Resort set. The Navajo style has been kicking around since the early 60’s, just a little longer than me. 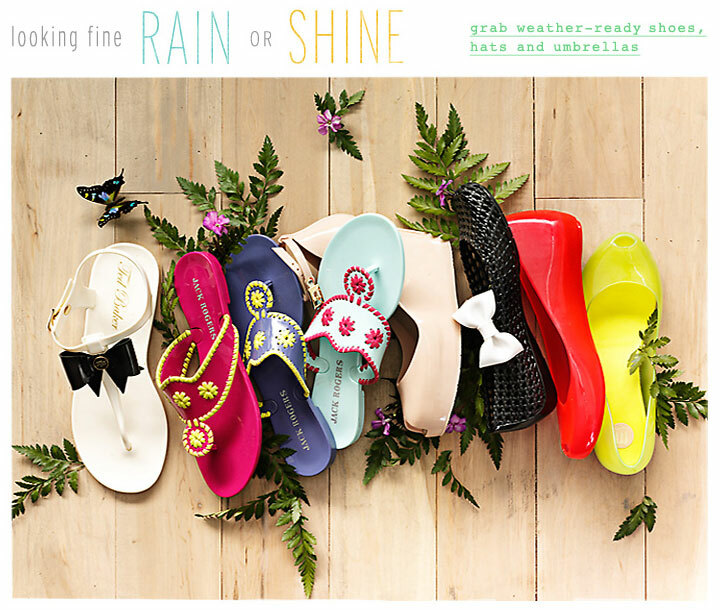 Today, the Jack Rogers company is still going strong and the shoes are still hand made in Florida. I love the history and tradition of the shoe and I plan on keeping that tradition going by buying a pair for my daughter. Once a prep always a prep. Oh no! Now I need these sandals too!